Boxes and boxes of stuff. Moving can be a bit overwhelming, and sometimes your moving boxes can’t go with you right away. 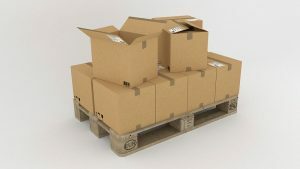 Whether it’s because of an extended trip overseas, cleaning out the clutter to stage a house, or because you’re in the midst of a big renovation, there’s no doubt that moving boxes can help you free up space. But once everything is packed and ready, you need a place to store it. It’s no small thing to choose a storage company. Can you trust them? Will your things be secure? How much storage do you need, and do you need temperature control? Your things are valuable, and the idea of leaving them in someone else’s care can be a bit of a daunting proposition. That’s why as your best source for moving boxes and moving supplies, we’ve prepared a list of storage companies where you can take your boxes and store with peace of mind.